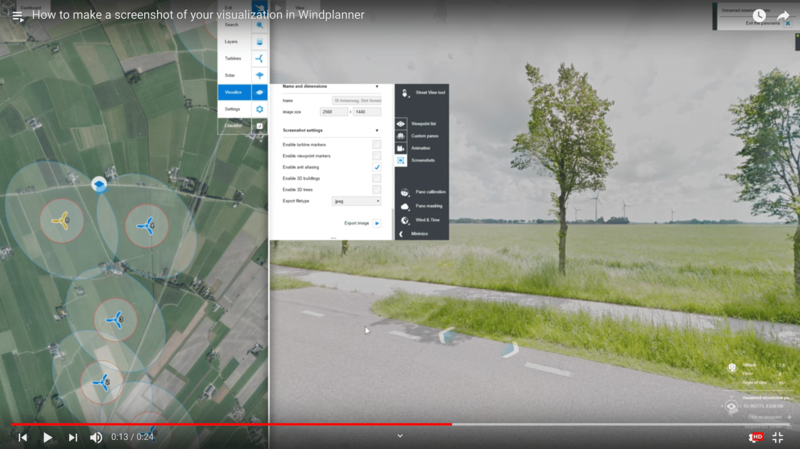 This video shows in 2 minutes most features in Windplanner. 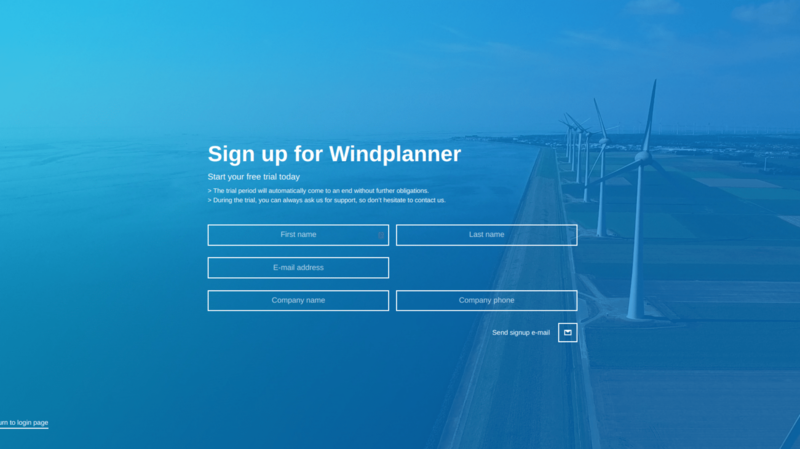 How to plan and visualize a wind project in Windplanner, step-by-step. 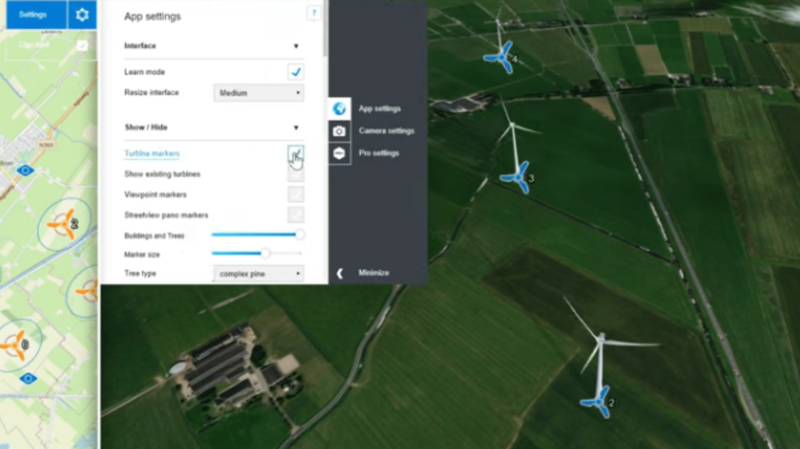 How to create a new turbine model, and adjust the turbine brand and dimensions to your needs. 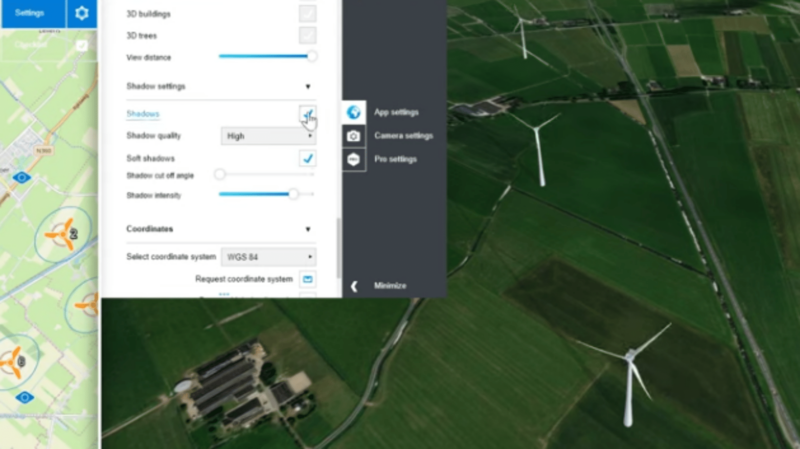 How to delete a wind turbine: this tutorial shows two ways of deleting wind turbines. 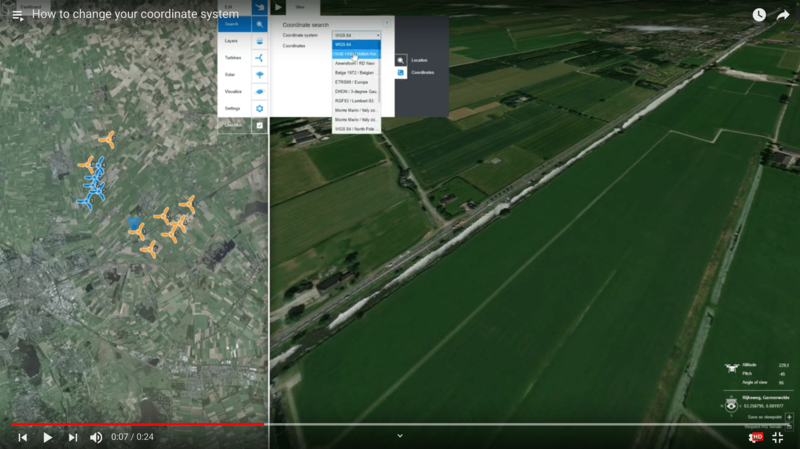 How to change your coordinate system. 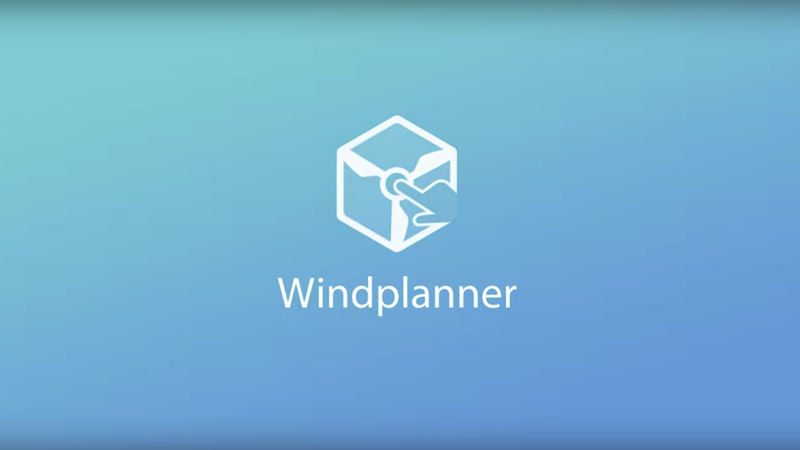 Windplanner can handle most systems. 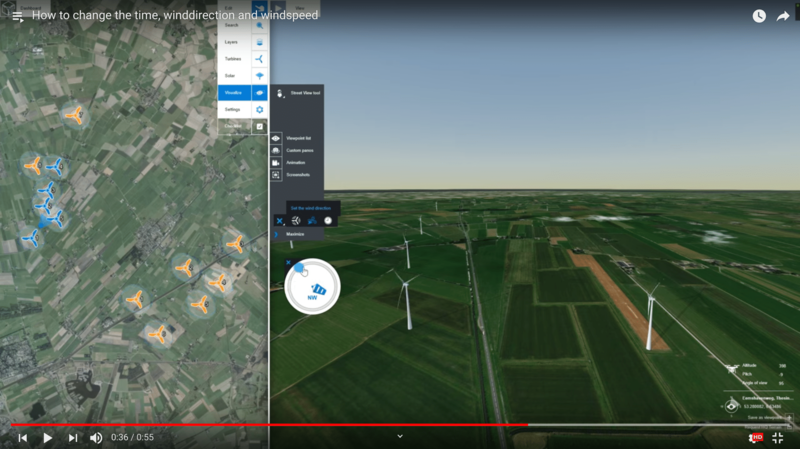 How to change the date, time, wind direction and speed, and see immediately the effect of the shadows in 3D. 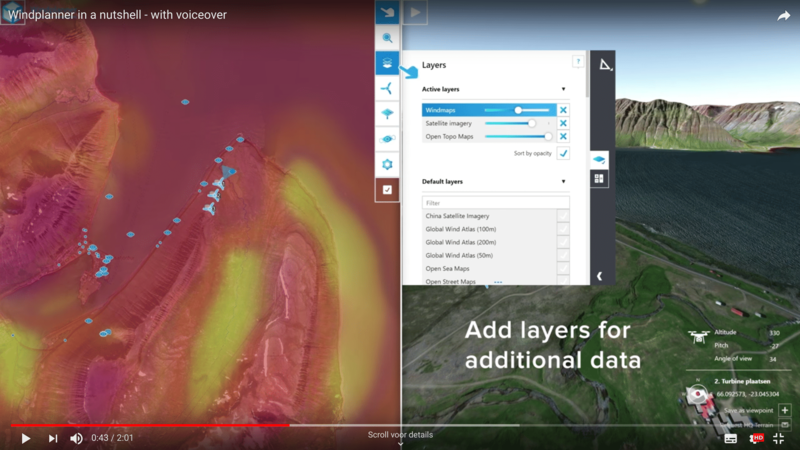 How to change your 2D layers and the layer opacity: you can stack several layers, to help to understand the local situation. 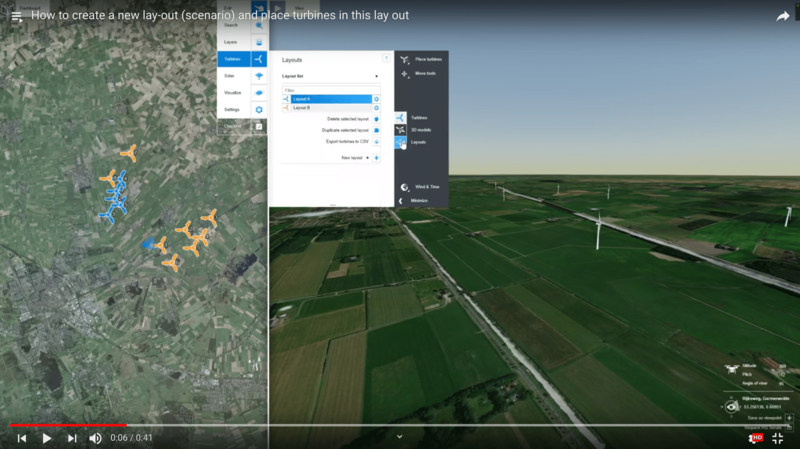 How to create a new layout (scenario) and place turbines in this layout. 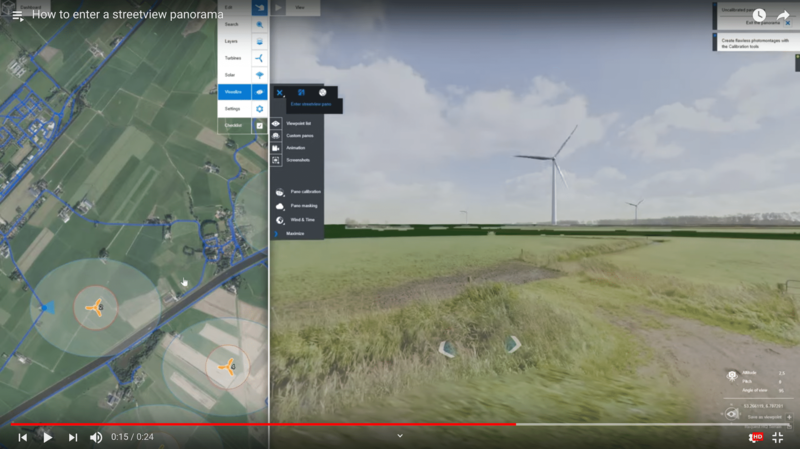 How to place turbines by coordinates. 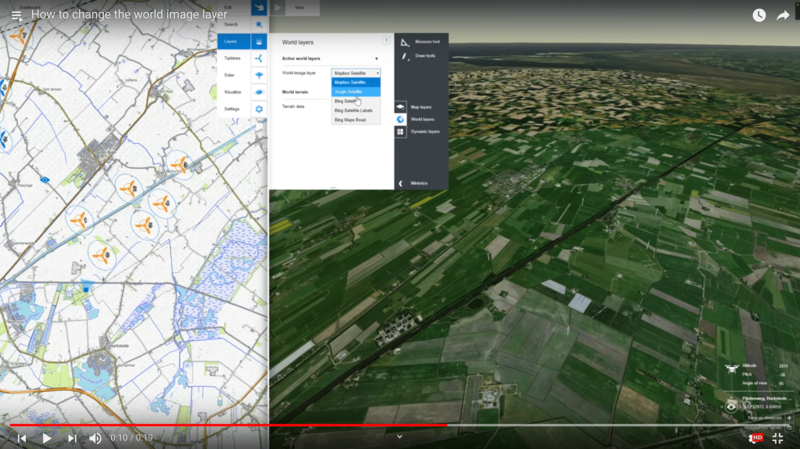 You can copy-paste data from your files; the coordinates must be separated with a comma. How to create a viewpoint, and how to use manual masking to create the correct photomontage. 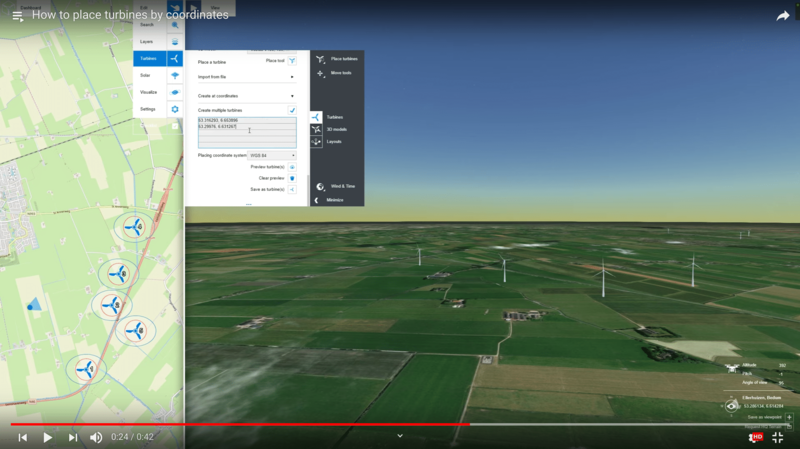 How to measure, for instance, the distance between a wind turbine and the nearest resident. 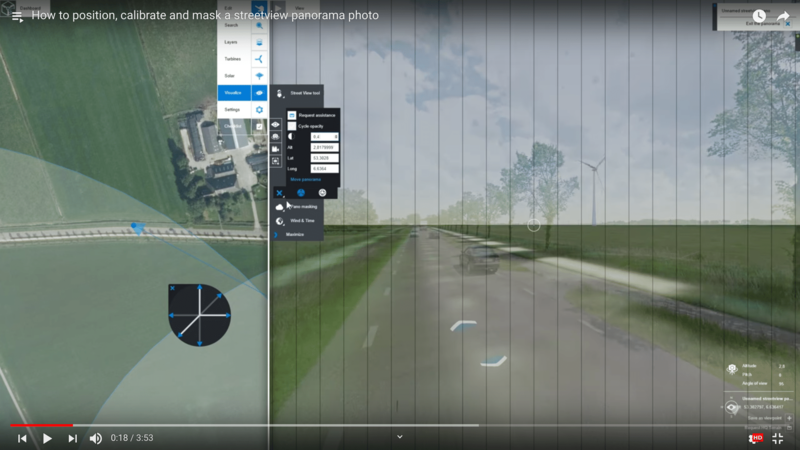 How to enter a StreetView panorama and view the project in a 360-degree photo. 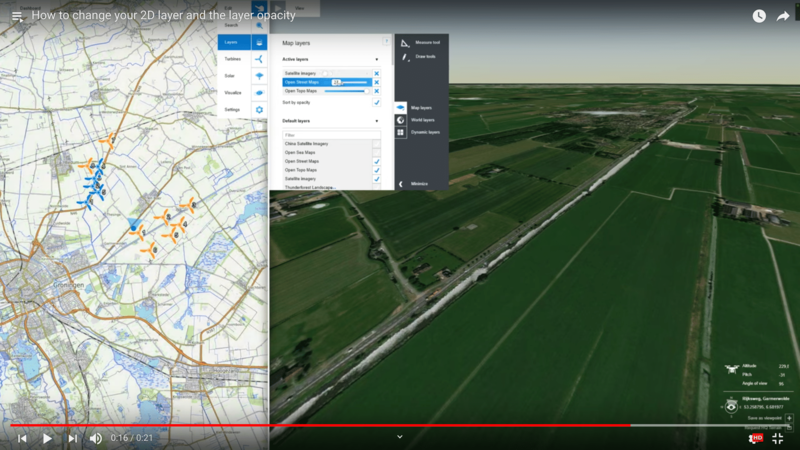 How to make a high-resolution screenshot, for usage in reports or presentations. 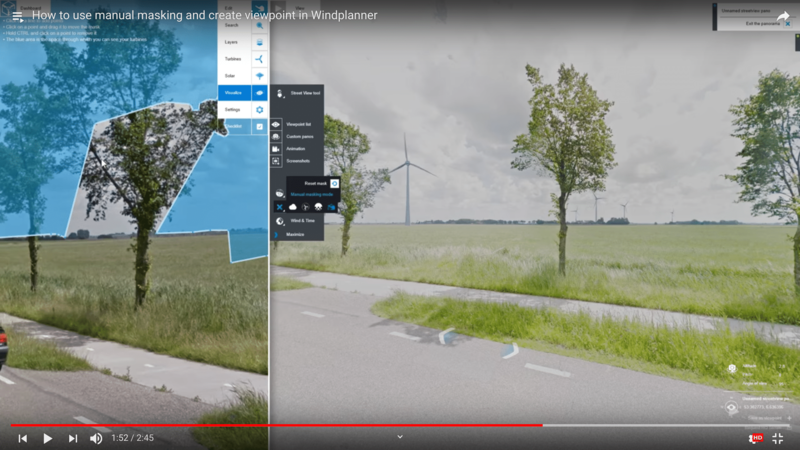 How to get a correct photomontage when entering a StreetView photo. by matching it with the underlying 3D world. 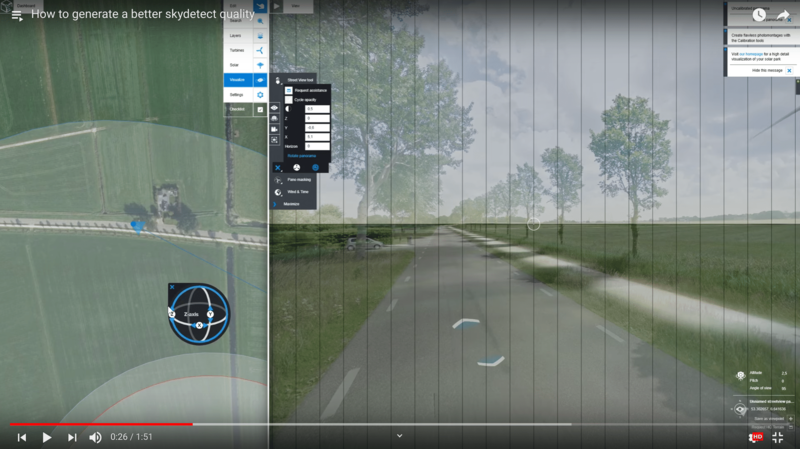 How to calibrate a photo with the 3D world for a correct photomontage and how to use SkyDetect tool (alternative to manual masking, based on artificial intelligence). 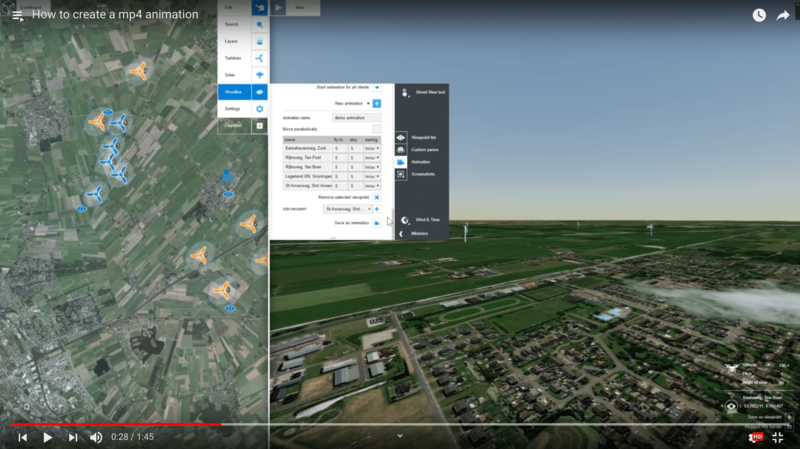 The quality of the satellite images varies per location, This video shows how to change the satellite images in the 3D world. 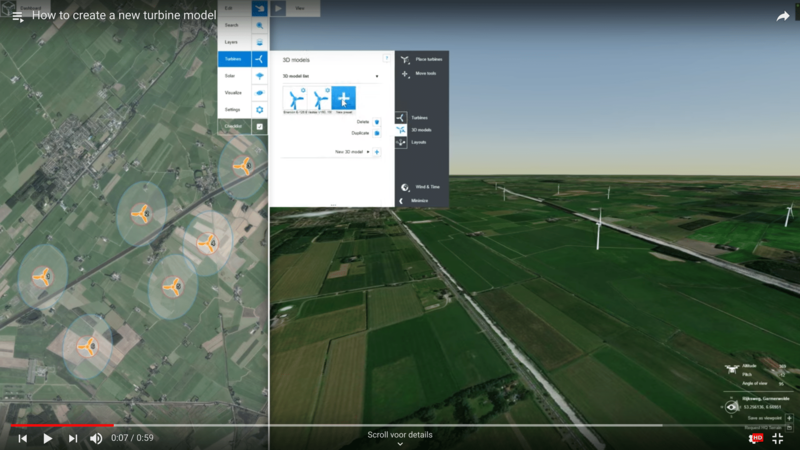 You can choose to show markers of the turbines, viewpoints and StreetView panos, or to switch off these markers. 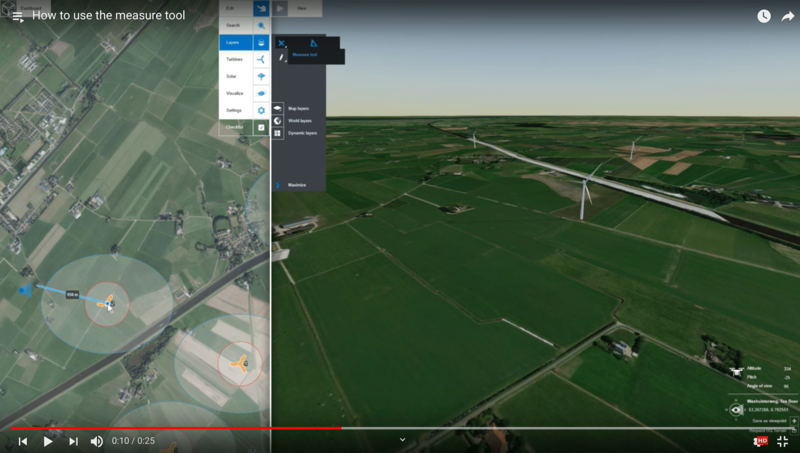 How to show the shadows of the turbines in the 3D world. 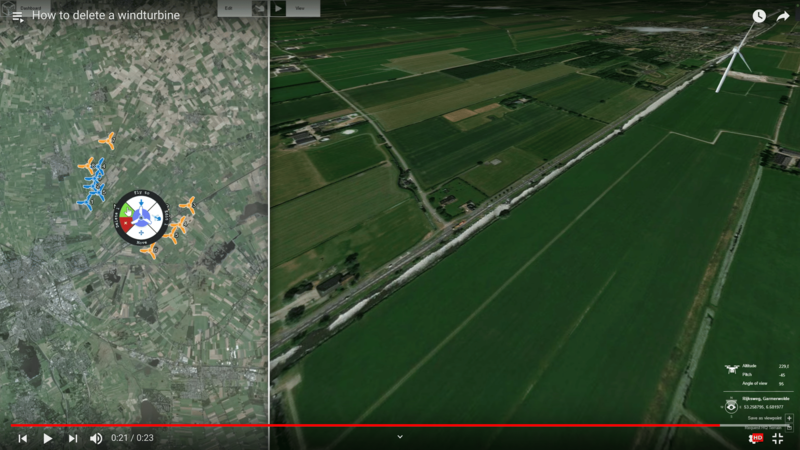 How to create an animation; flying from one viewpoint to another. Use screencapture software if you want to export the animation. 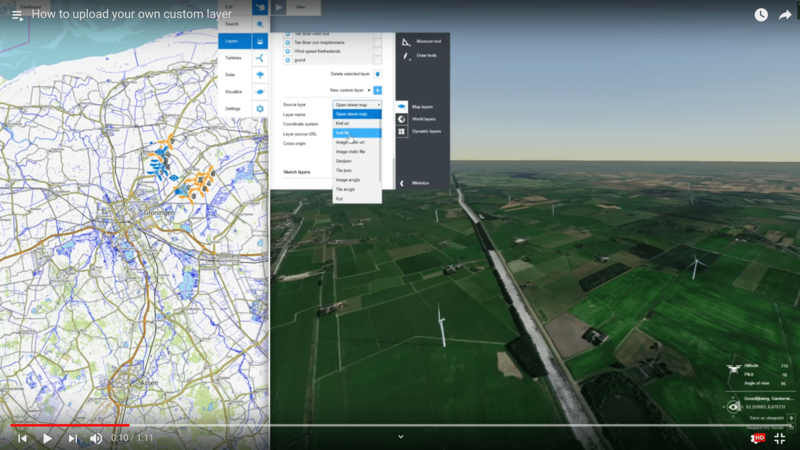 How to upload your own custom data layer, to help understanding the local situation.